When looking for New York commercial carpet, there are many factors in deciding the type of carpeting your business needs, such as the amount of traffic the carpeting will endure. 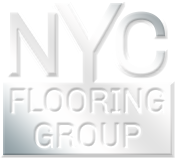 NYC Flooring Group carries resilient as well as stain-resistant carpets, which is a benefit for our commercial customers. Whether the business is an office, hotel/motel, apartment complex, restaurant, education or medical facility, NYC Flooring Group has the commercial carpet which will add beauty, versatility, and style to your business. Shaw, Queen, Philadelphia, Mohawk, Aladdin, Durkan, Bigelow, Karastan, Lees, Holytex, Mannington, Masland, Milliken, Patcraft, Cambridge, Aqua, Blueridge, J&J Invission. Our price match guarantee ensures that no matter where you shop, or where you search for commercial carpet prices in New York, you won't find prices lower than ours.